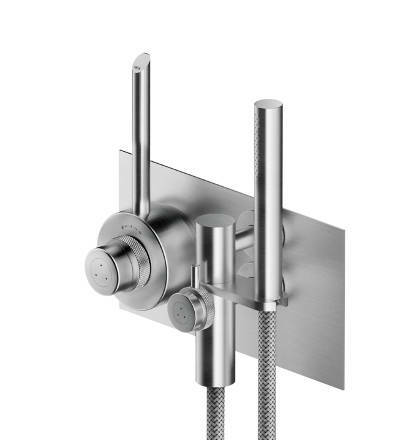 In line thermostatic mixer with hand shower. CB432 requires the built-in valve X49.937 that must be ordered separately. CB432N is fitted with a CalGreen compliant diverter. CB432N requires the built-in valve X59.1067 US that must be ordered separately. 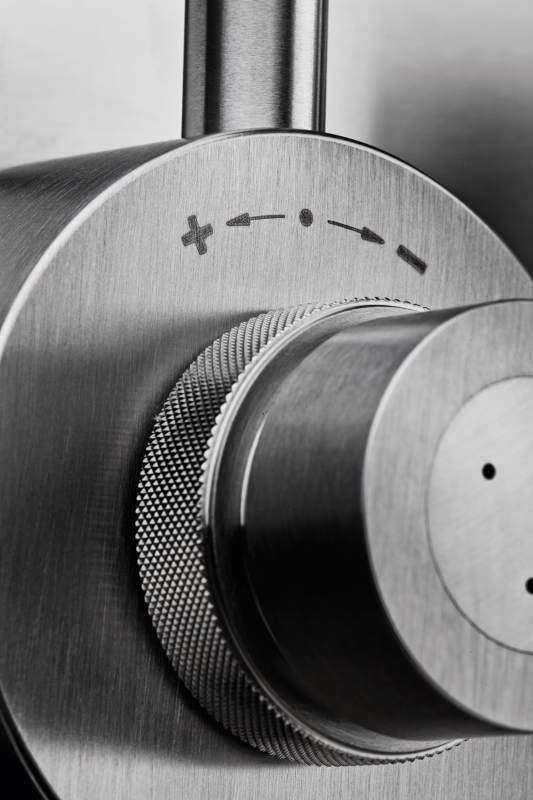 The diverter allows to select the hand shower or the shower head connected to the valve. 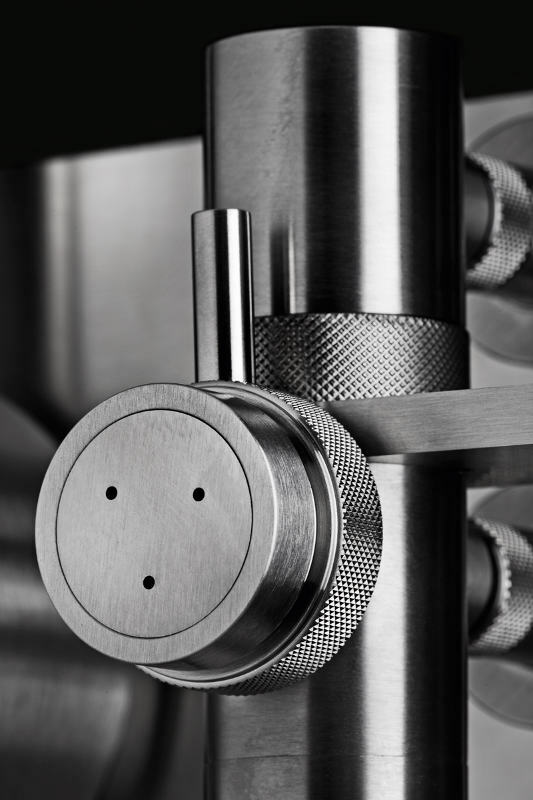 The long lever controls water flow while the knurled knob is used to set water temperature. Marine grade stainless steel is ideal for installation both indoor and outdoor. 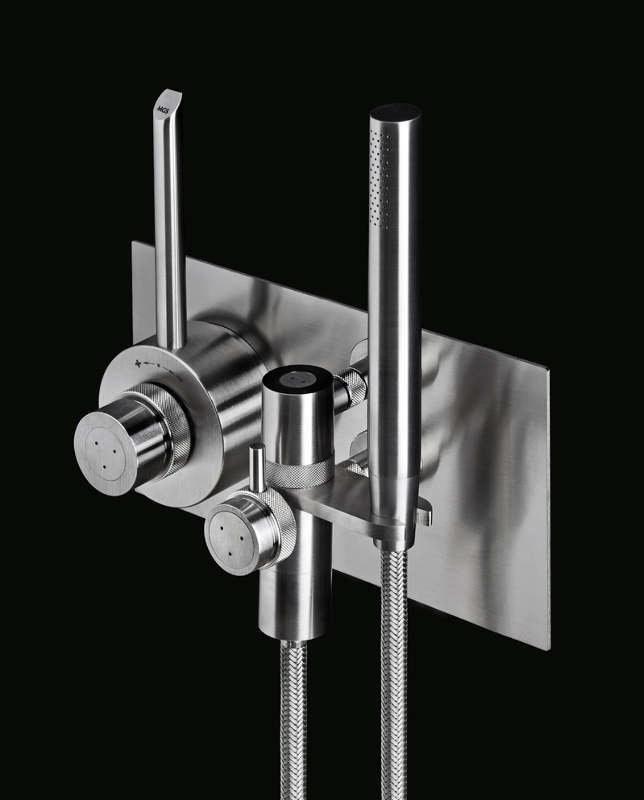 The hand shower is fitted with a sturdy braided stainless steel hose. Can be combined with a shower head from our extensive range, including some of the ceiling mounted models. Winner of the 2014 Product Innovation Award (PIA) by Architectural Product magazine. US version flow rate of the hand shower is restricted to 1.8 GPM as per CalGreen requirements.